I love a good fad. I also love looking at photos and knowing exactly what year it was based on what people are wearing. It is like you are wearing a time capsule. At the moment velvet is one of my favorite trends. It is hard to wear if you do not dress it up. I personally like to dress it up with some gold accents and black. Plus, the velvet boots are to die for. Probably not the best thing to wear in a Midwest winter. 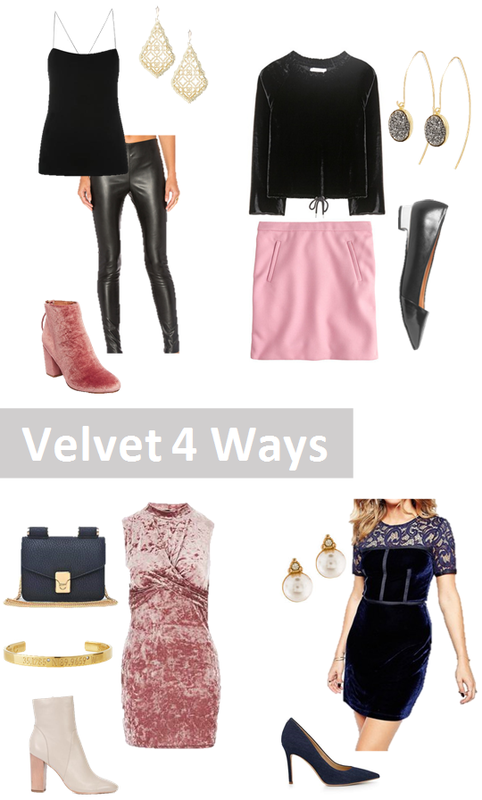 Here are some ways to diversify velvet. I can be anything from edgy to preppy.